This weekend I played around with the first version of hybris, that was released in far 2001. 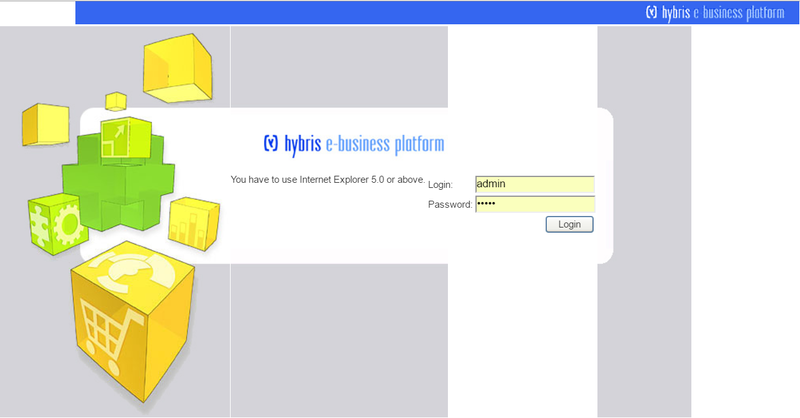 In 2001 the hybris was titled as “hybris e-business platform”. I unpacked the archive and installed the system. The archive is about 66M in size. 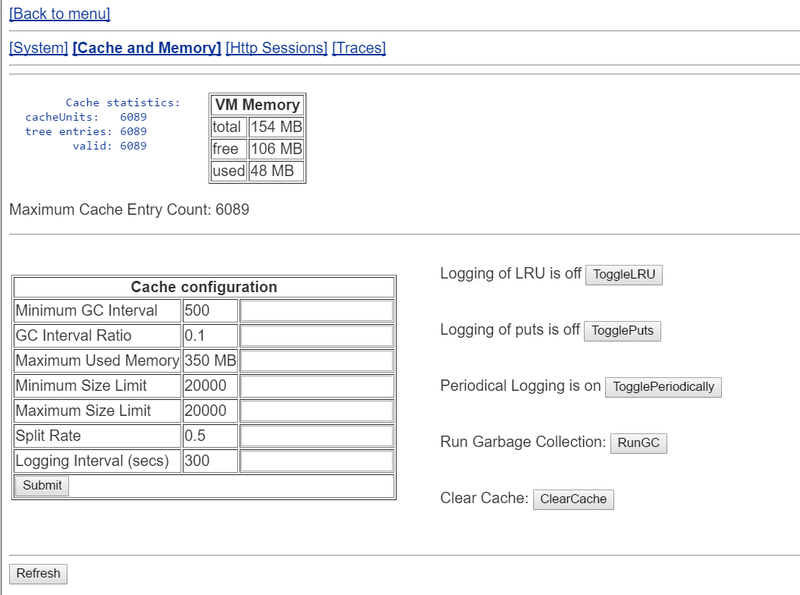 The built-in application server is Oracle9iAS. The first version was based on Struts, EJB and Java 1.3. “Ant clean all” took 49 seconds. 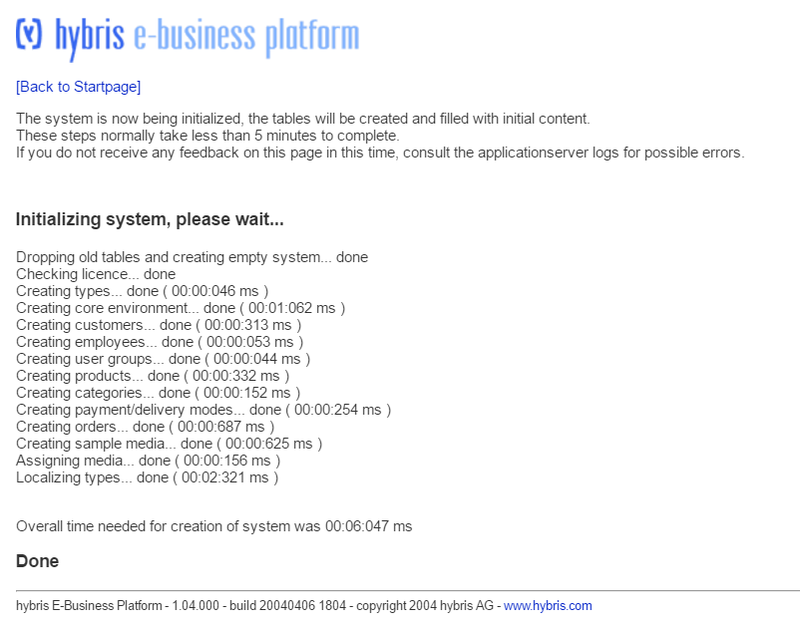 hybris was ready to work in 15 seconds after I launched the server. The initialization process took about 6 seconds. 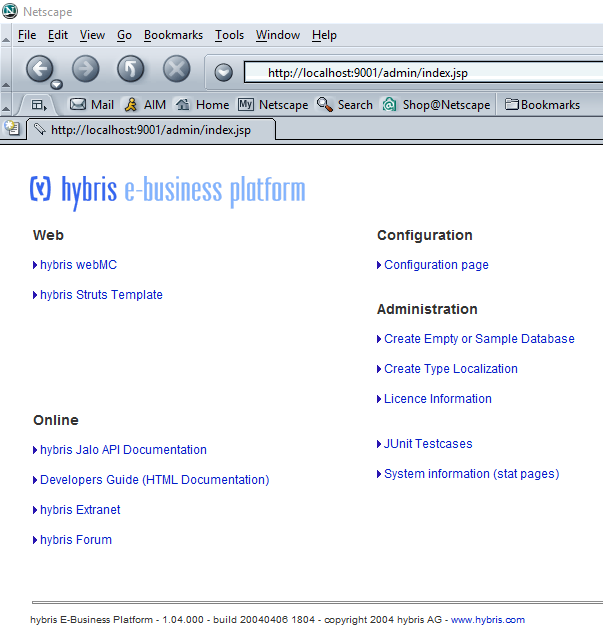 Next screenshot shows a first version of HMC, called WebMC in hybris 1.0. It seems that its UI hasn’t been changed a lot over years. The similar look as today, but that version didn’t use ZKoss Framework. Hybris rewrote the HMC code later. The internal name of the product was Jakarta. So all classes have jakarta as a part of the packages. By the way, Jalo layer stands for Jakarta Logic. 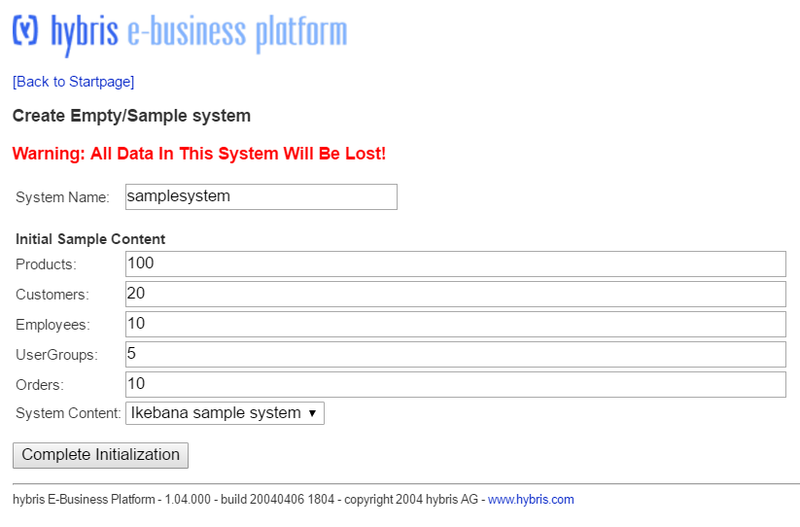 It is interesting that the first version of hybris didn’t use any search engines. 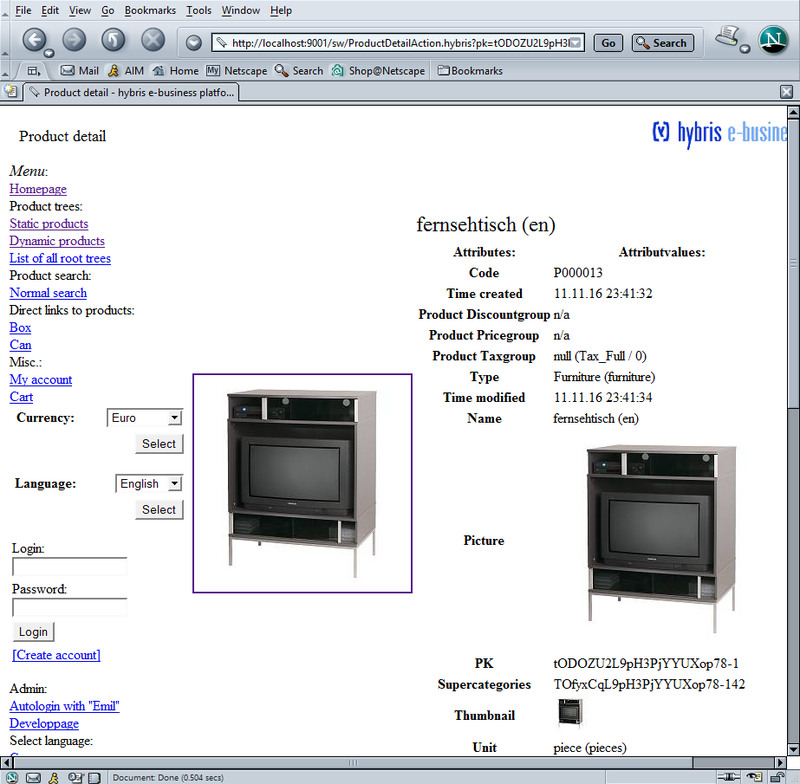 The product search was implemented as a simple FlexibleSearch request with “LIKE”. The default storefront template code processed credit card details without any encryption. It was possibly supposed to be part of the partner’s job. There are many concepts that come from the initial version without significant changes. 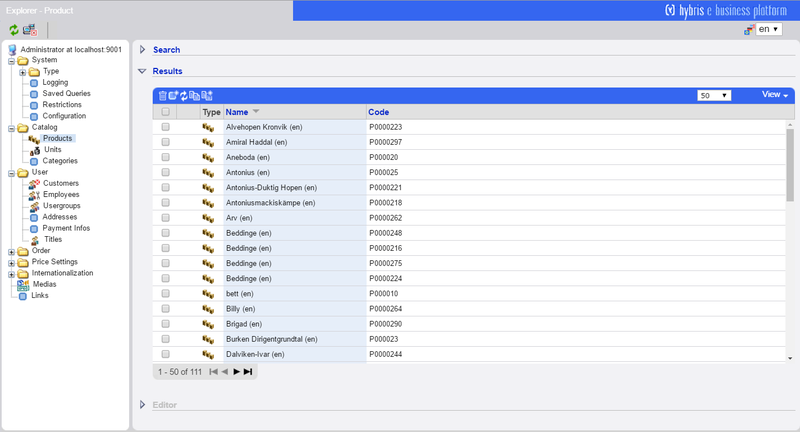 For example, such files as project.properties, build.xml, extensioninfo.xml, localization properties, items.xml are very similar to ones we have in the last version. It is clear that each version added a lot to the initial concept, but they are quite recognizable. 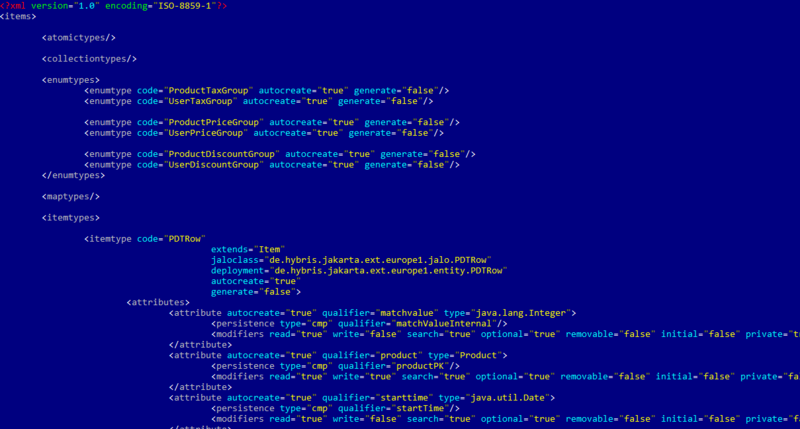 However, in 2001 hybris was supporting the cluster mode, UDP invalidations, multilanguage and the type system. It was a pleasure to have a look at the first release. 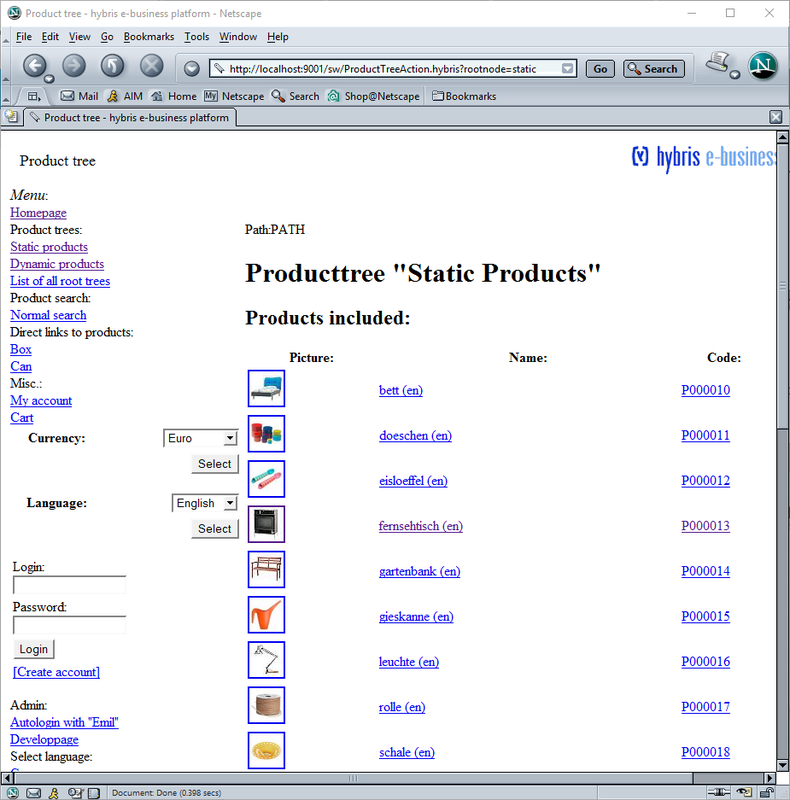 In 2001 I was working on my own web programming language, called ArtPublishing. It was written in C++, it was the one-pass parser and interpreter. A bit later my team released a Content Management System called ContentRight written completely in ArtPublishing. 16 years ago we were reinventing a bicycle, but the result had paid off because at that time the innovations means more than supportability and reliability. It was very interesting to compare similar products. The latest version of hybris has a lot from their initial version. Evolution works. It took some time to form a holistic vision. You need to try, to test, to process feedbacks to understand the right direction, expectations and limitations. I don’t think any of us is capable to foresee all issues from the very beginning. If they had set ourselves the task to do everything right, they wouldn’t release the product at all. There isn’t a right solution architecture, all these decisions are trade-offs. Slow, complicated, undocumented and expensive crap of a software. If we were lucky it would have failed back then. IIRC the default port was not 9001 but 2357. I think, 9001 by default was added later. really hard when you want to be agile.